Welcome to the website of All Saints Church, Deganwy. All Saints is an Anglican church which nestles in the shadow of the Vardre, and overlooks the Conwy estuary. Please have a look around our site to find out more information about upcoming services as well as the history of the chuch. I am delighted to have been appointed as a full time member of the clergy team in our Aberconwy Mission Area, rooted in the churches of All Saints, Deganwy and St Michaels Llandudno Junction. I was brought up and have worked in various places from Old Colwyn to Penrhyn Bay, (I worked for over 20 years for Social Services),so I guess I am on home territory. 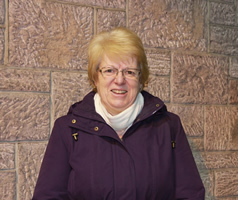 It is a wonderful gift to be called to an area very close to my heart, and a people with whom I can connect and empathise with, as I have an understanding of its history and the problems some of the communities face. I am married to Mark and have a daughter Hayley and Grandson Theo. As they live in South Wales, when we can Mark and I like to spent time with them. We also both like walking, and relaxing at home with our two cats. The church is facing some challenging times, but then when hasn’t it! I am, however, encouraged by the warm welcome I have received and by the commitment of our congregations, I feel that although there may be challenging times ahead, I think that they may also be exciting and will lead to a new era for all our churches. I pray that we can all grow together, as we journey together. Our vicar at All Saints is Reverend Peter Walker. 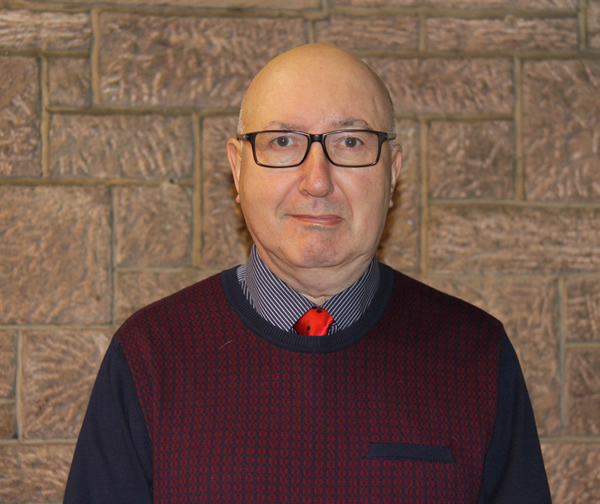 Reverend Walker is originally from Telford and has been leading the services at All Saints since Easter 2015 along with Church Wardens, Pat Chapman and Frank Prescott.